The Gr. 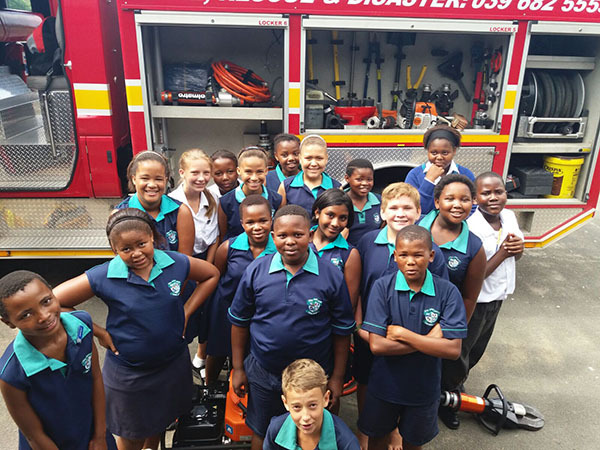 7 class started their year off with an exciting visit from the Hibiscus Coast Fire and Rescue team on Friday. This visit corresponds with the Technology lesson on the Jaws-of-life. 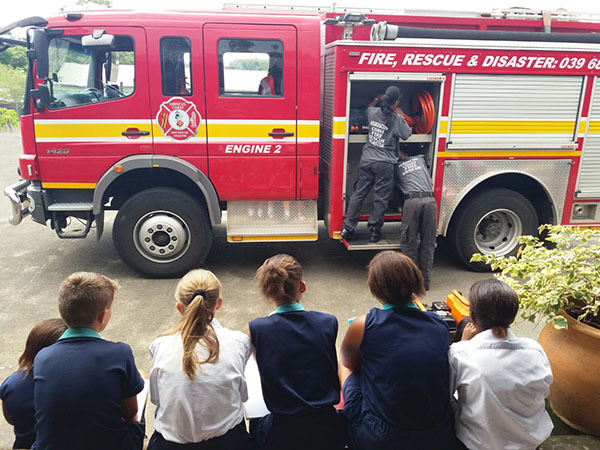 Each learner had the opportunity to hold the Jaws and even climb into the Fire truck. The excitement inspired much needed enthusiasm for their upcoming Mini-PAT project. 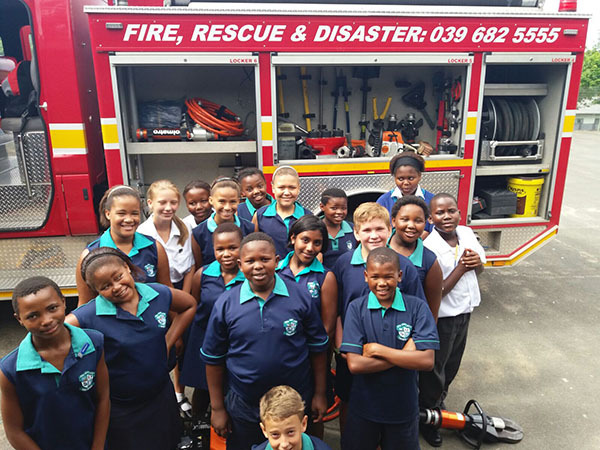 We would like to thank Hibiscus Coast Fire & Rescue for coming to our school for this lesson. 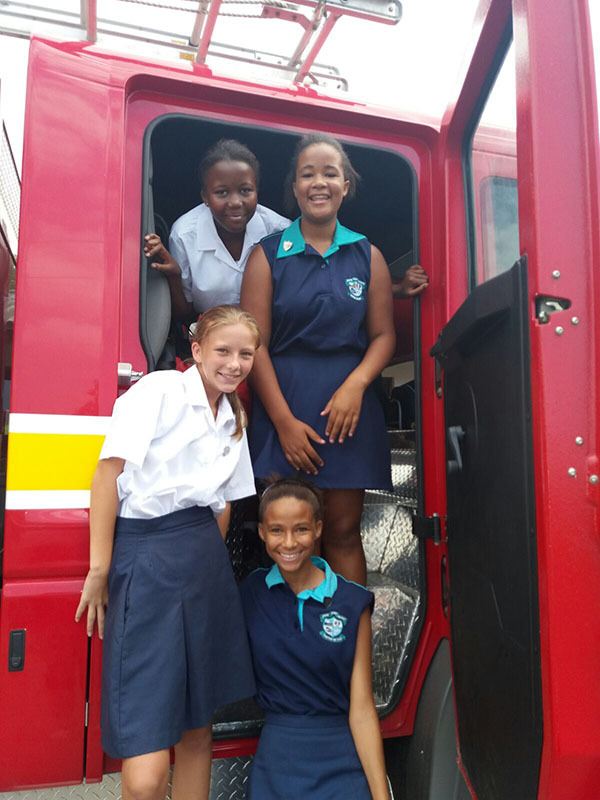 Ayabulela Ncemane, Tamia Jacks, Tiffany Hartley, Serina Gordon.